This algal blooms was photographed on July 5 at Blue Cypress Lake. This algae bloom near the Shands Bridge was photographed on July 4. South Florida’s lakes and rivers aren’t the only waterways in the state experiencing toxic algal blooms. St. Johns Riverkeeper Lisa Rinaman said algae is also plaguing the St. Johns River. “You can see it in different sections of Doctors Lake, Julington Creek and the Ortega River up around the Shands Bridge. And so what we’re asking folks is if they see it to stay clear because it can be highly toxic,” said Rinaman. You don’t even have to touch the algae to be exposed to the toxin, according to Rinaman. “If you’re in a boat, for example, your wake can shake it up into the air so you can breathe it in and it can cause respiratory stress. Swallowing it she said can result in long term neurological and liver damage. She urged anyone who comes across green algae to report it to the state’s algal bloom hotline. Rinaman will talk more about the health of the St. Johns River and take questions from callers on Monday during WJCT’s First Coast Connect at 9 a.m.
With hurricane season now underway, conversations about the future of the St. Johns River will be on the rise. 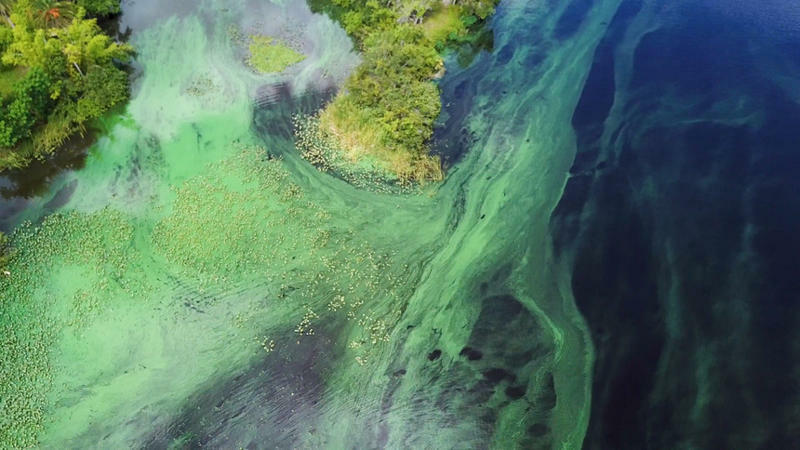 Members of Southwest Florida’s state legislative delegation sent a joint letter to Governor Rick Scott, Thursday, requesting an emergency declaration for Lee County to address the toxic blue-green algae blooms impacting area waters. A federal judge Friday rejected attempts by the St. Johns Riverkeeper to temporarily halt JAXPORT’s proposed deepening of a section of the St. Johns River.